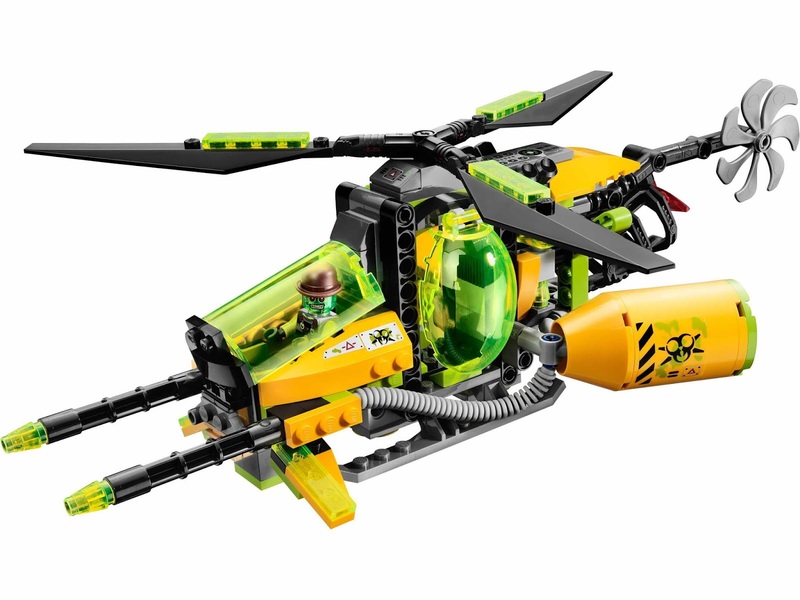 included a toxikita’s helicopter and a lab. 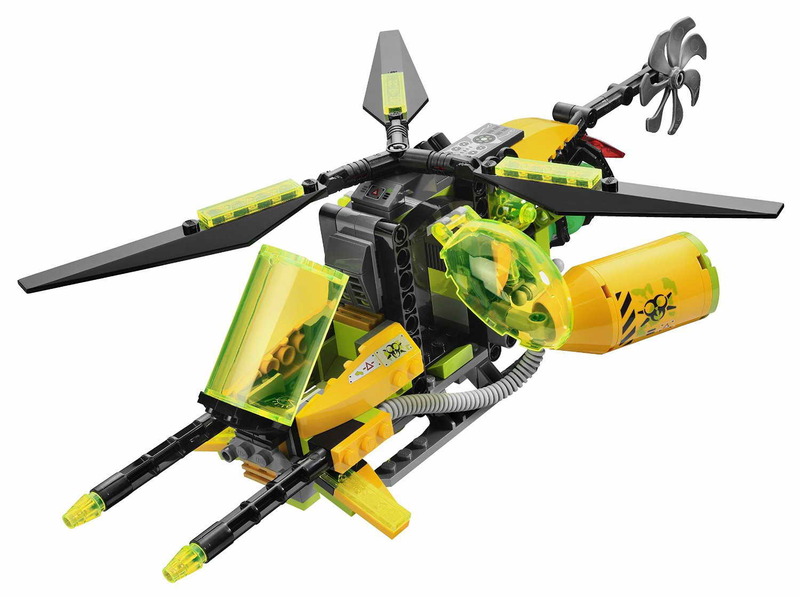 the helicopter has an openable cockpit, spinnable rotor blades, 2 front toxic cannons , 2 rear toxic tanks, a chain and a toxic bomb dropper with 3 toxic bombs. 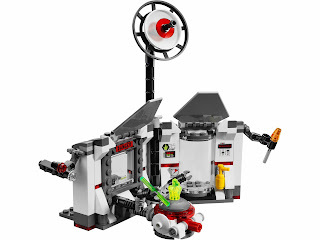 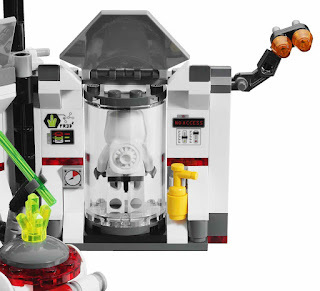 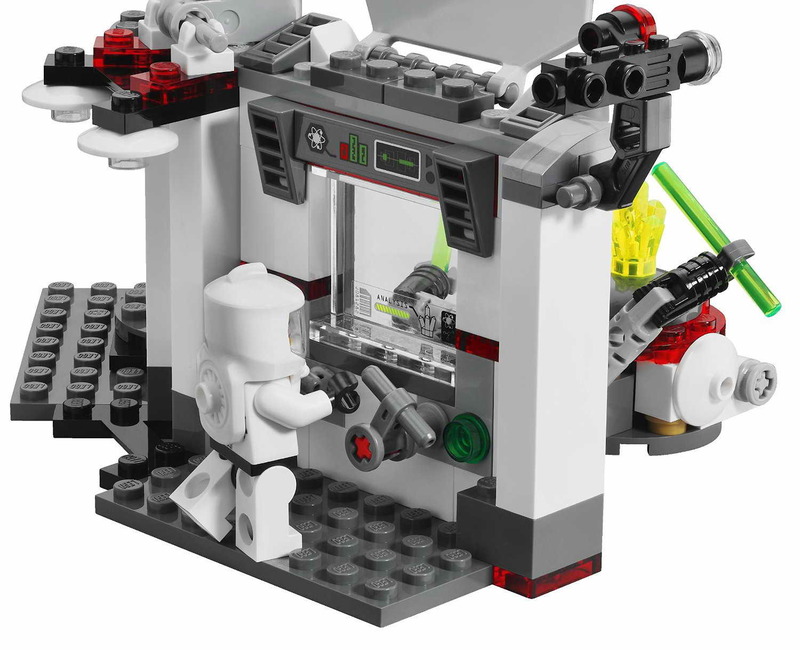 the lab has a revolvable door, remote control safety claws, a crystal, an explodable crystal containment unit, a satellite dish, a security camera and 2 flick missiles. 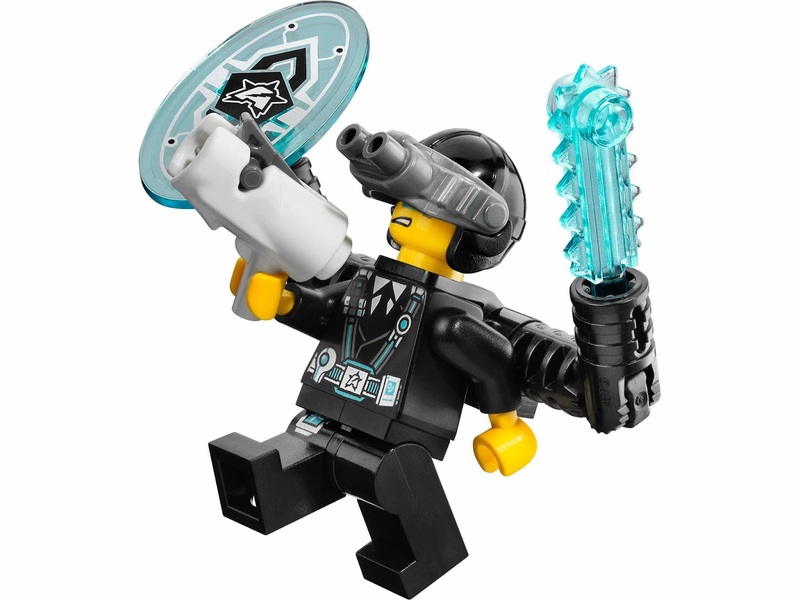 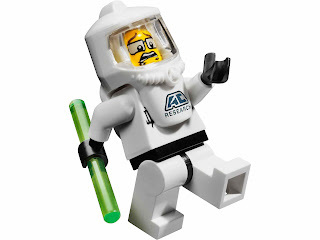 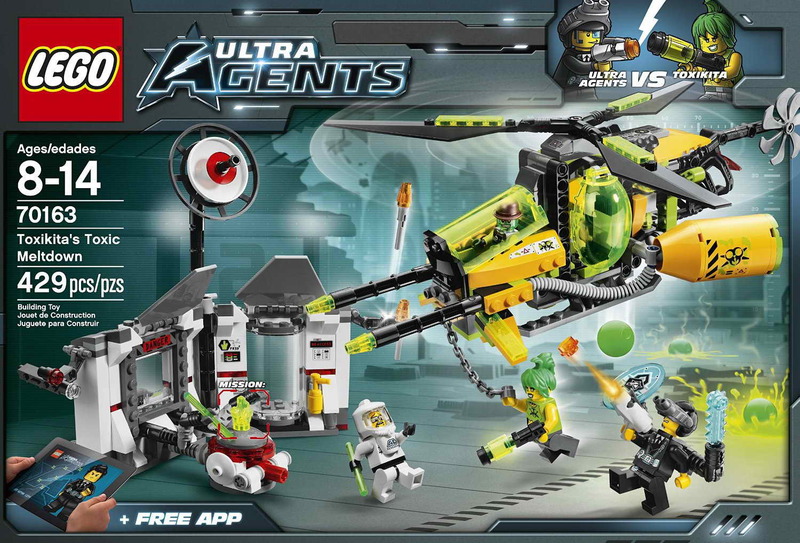 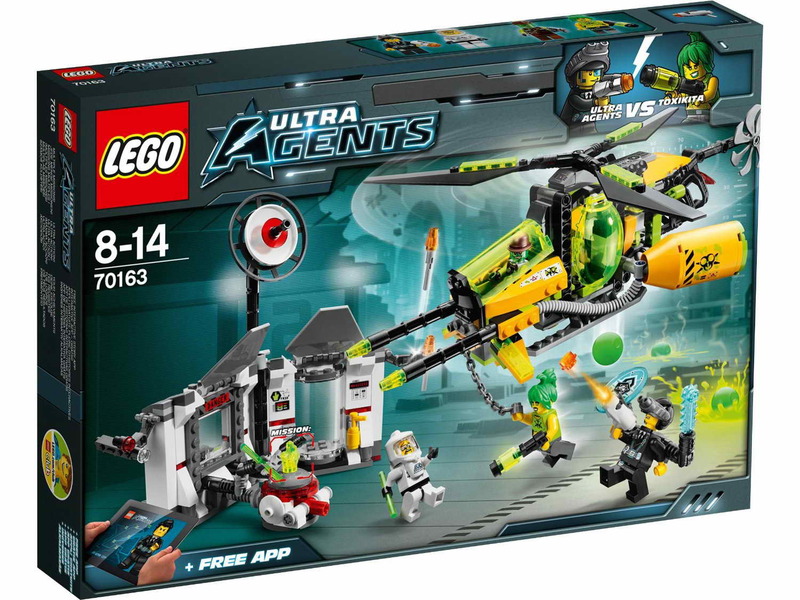 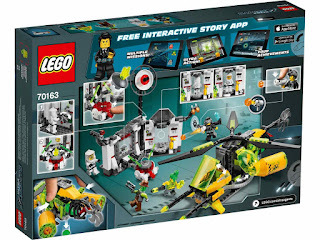 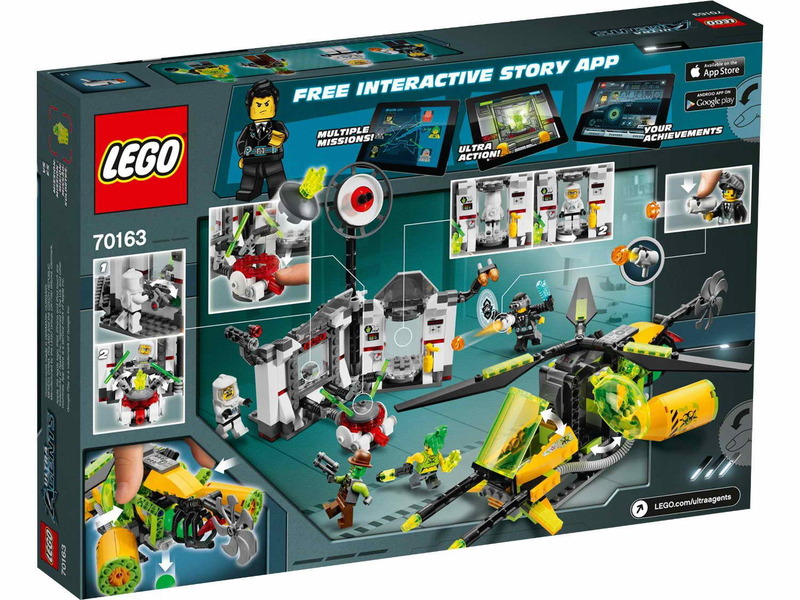 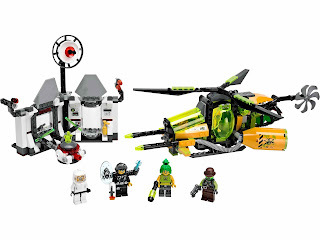 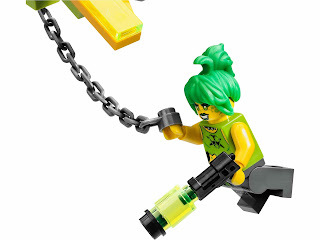 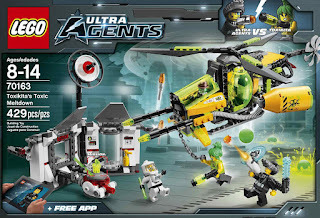 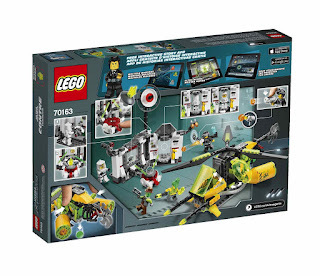 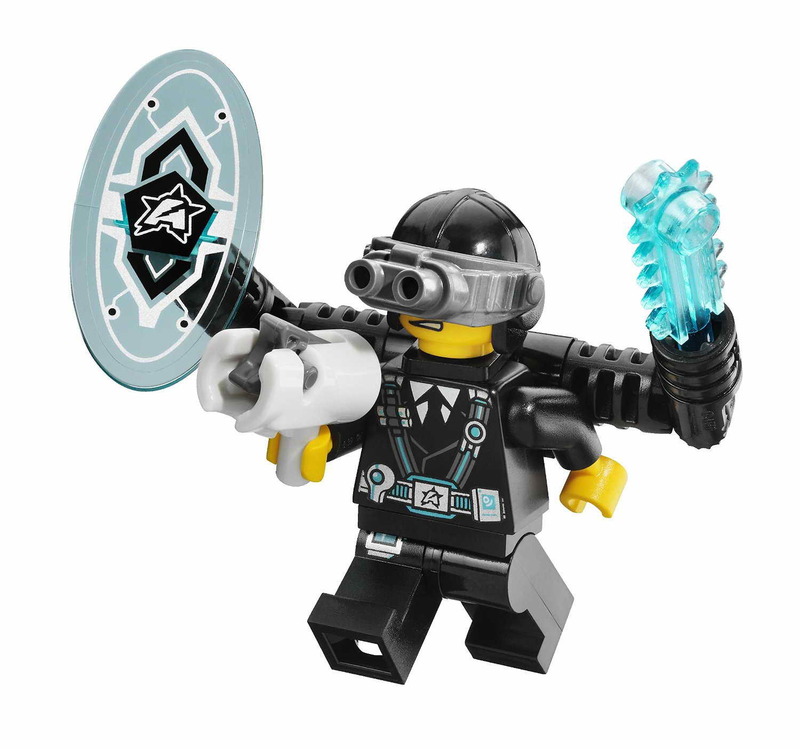 minifigs included an agent curtis bolt minifig, a retox minifig, an astor city scientist minifig and a toxikita minifig.